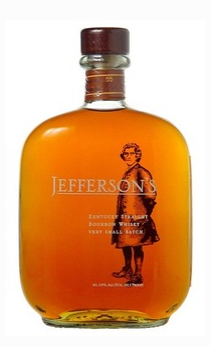 Printed on the label of Jefferson's Kentucky Straight Bourbon Whisky are the words in all caps, "VERY SMALL BATCH." I'd argue that they don't even need to spell it out for people because you can taste the quality and the caliber of this bourbon in every sip. The bottle is as beautifully designed as the rest of their series: Jefferson's, Jefferson's Reserve, Jefferson's 18 Year Old Presidential Select, and Jefferson's 10 Year Old Straight Rye Whiskey. This Labor Day Weekend, toast your own contributions to the American workforce with a well-deserved Presidential bourbon.